My daughter likes bugs. 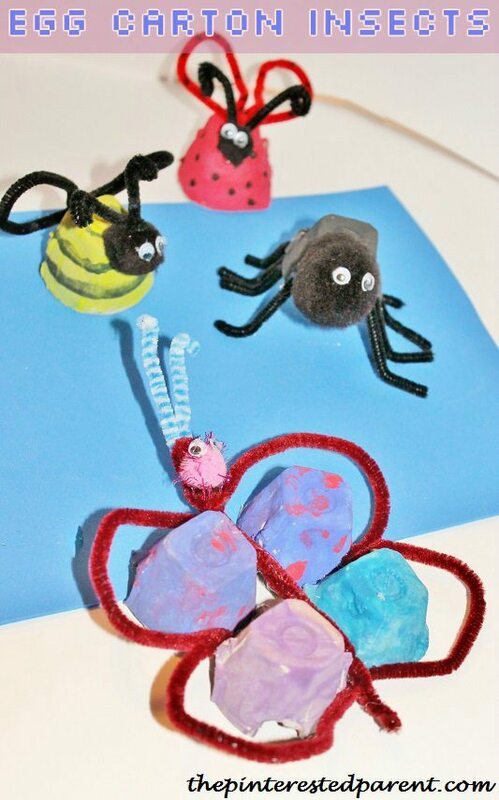 We make bug crafts often, so forgive the repeated insect theme. 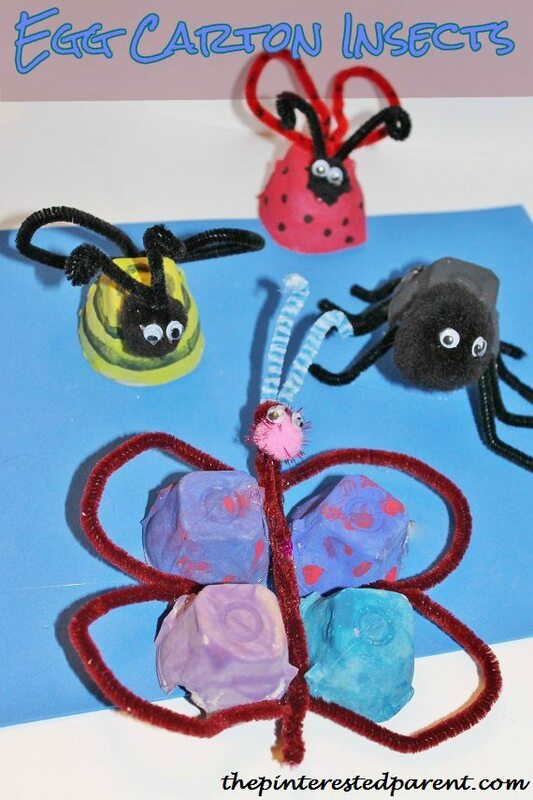 We do however always craft them out of different materials & tonight was a new one for our insect crafts. We had a lot of pre-cut egg carton sections just waiting to be used. Mai started painting her insects while I cooked this evening. She painted a lot of them, so we needed to make a few. After she painted them we let them dry. 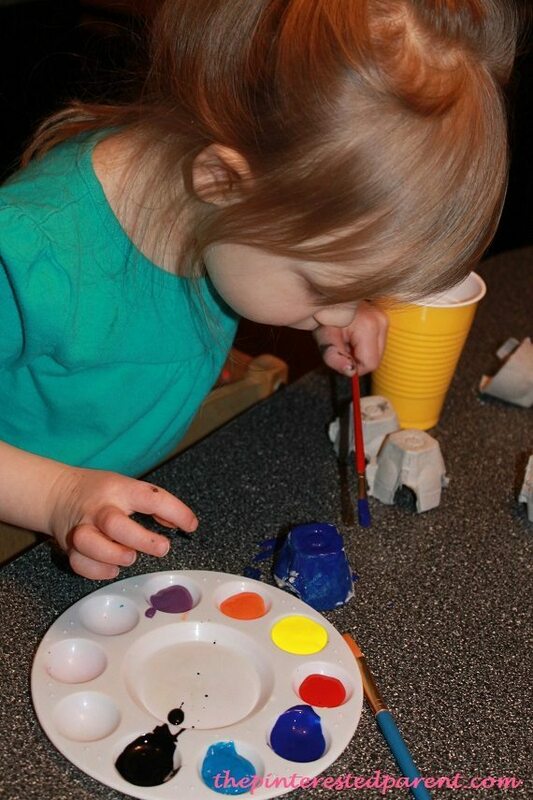 For our bumble bee, we used a yellow section & painted black lines around the outside for the striping. We used a medium sized pom pom for the head & added in googly eyes. We formed the antennae & wings out of pipe cleaners. 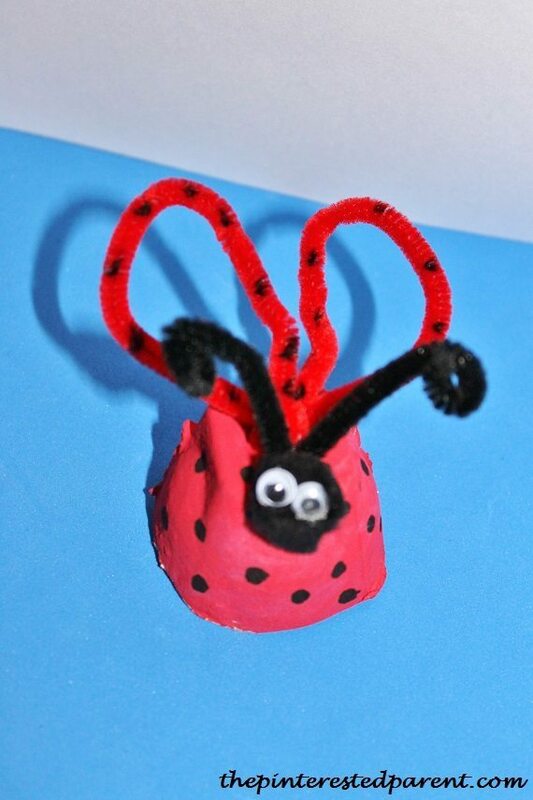 Our lady bug was made with a red painted section dotted with black paint. I also dotted a red pipe cleaner for the wings. 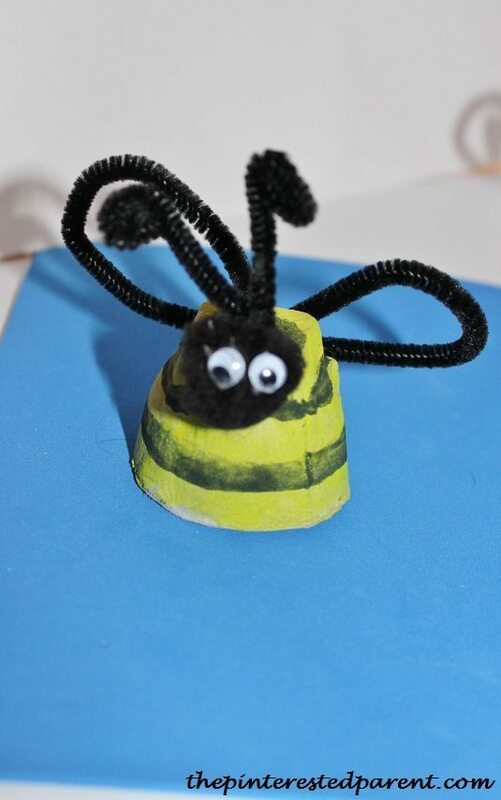 Add a head & antennae with eyes to this pretty little insect as well. We had a few other sections in assorted colors. We combined these to form a butterfly. We used a pipe cleaner glued through the center of the four sections for the body. We added a sparkly pom pom for the head, followed with a striped pipe cleaner for our antennae. 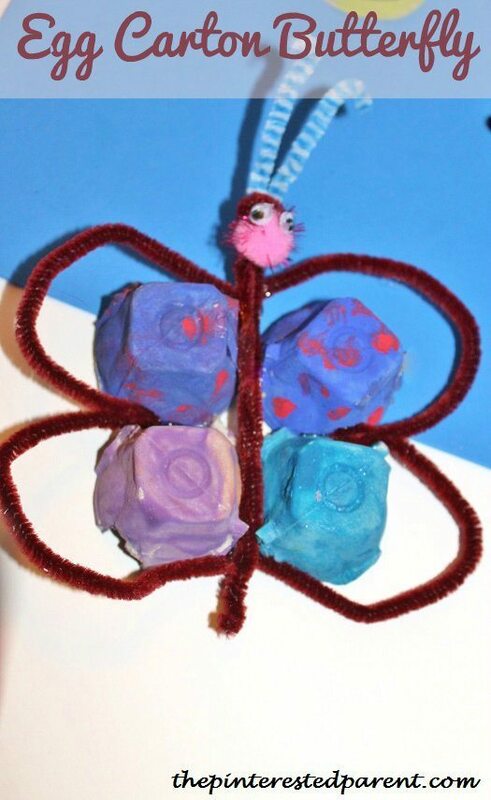 When each of these was glued into place, we added a pipe cleaner outline on each side to form the wings. We used our final section, which Mai painted black to form a spider. We used 4 pipe cleaners to form the 8 legs & added another pom pom head & eyes. All in all I think that they came out very cute. Mai agreed. So going to do this! I have a bag of extra pipe-cleaners from another craft and hubby eats tons of eggs– perfect! We eat a lot of eggs too. That is why I have so many of these cartons laying around. Lol! This is super creative! Especially since we have a lot of egg cartons around with Easter coming up! I know! I will be making a ton of egg carton crafts next week. What a great way to reuse egg cartons! My daughter would have so much fun making these. They’d be great as a daycamp or VBS craft too! aww how cute! I love how I could do this with my son this year! Thanks for sharing!